The Russian American sociologist and social philosopher Pitirim A. Sorokin (1889-1968), an ardent opponent of Communism, but an early supporter of the Russian Revolution, served during the Russian Revolution as secretary to Prime Minister Alexander Kerensky, who was a leader in the Russian Constituent Assembly. After the October Revolution, Sorokin continued to fight communist leaders, and was arrested by the Bolshevik regime several times before he was eventually condemned to death. After six weeks in prison, he was set free and went back to teaching at the University of St. Petersburg. In 1918, he went on to become the founder of the sociology department at the University of St. Petersburg. In 1922, Sorokin was again arrested and this time exiled by the Soviet government. He emigrated in 1923 to the United States and was naturalized in 1930. Sorokin was professor of sociology at the University of Minnesota (1924–30) and at Harvard University (1930–59). Attached here (above) as a downloadable PDF file is an article from the Christian Science Monitor of March 9, 1938. The article describes a meeting in Boston between Sorokin and Kerensky, who were reunited. 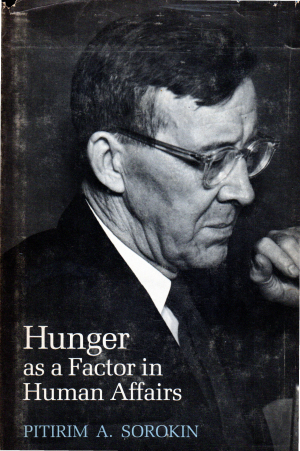 The memorial tribute to the Russian-American sociologist and social philosopher Pitirim A. Sorokin (1889-1968) which is posted above as a downloadable PDF file appeared in Carle C. Zimmerman, Sorokin: The World’s Greatest Sociologist: His Life and Ideas on Social Time and Change. The tribute provides a brief biography of Sorokin. Carle C. Zimmerman was a lifelong friend and fellow academic of Sorokin. This seminal article on the Russian American sociologist and social philosopher Pitirim A. Sorokin appeared in The Review of Politics in January 1966. Ostensibly a review of Sorokin’s autobiography, A Long Journey, which had just been published, the article is actually an assessment of Sorokin’s life, career, and oeuvre. It addresses controversies going on at the time which involved a defense of Sorokin being undertaken by renowned sociologists, and in which there was controversy over how theoretical as opposed to empirical sociology should be. The article is posted above as downloadable PDF file. William T. Liu, “Sorokin in Review,” The Review of Politics, 28:1 (January 1966), pp. 99-105.